Human sweat attracts them magically. Mosquitoes buzz purposefully towards their next meal, bite, and leave behind an unpleasant itch – sometimes even a dangerous pathogen. One way to keep insects away from the skin is to use mosquito repellants. These evaporate on the skin and form an invisible protective cover. When a mosquito approaches, it bounces off this scent barrier – until the odor molecules have dissipated. Cyclodextrins from WACKER keep this protective cover on the skin much longer. 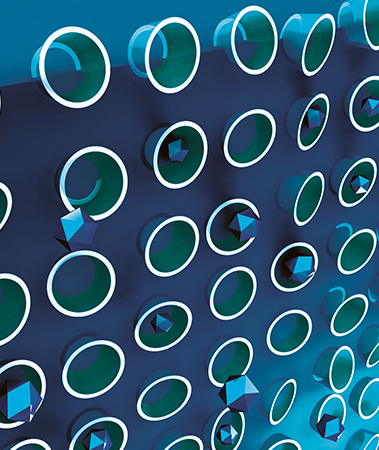 The ring-shaped sugar molecules can capture and hold other molecules. They enclose the active ingredient that drives away the mosquitoes and release it only in small doses. Tests have shown that the scent barrier lasts almost twice as long. This application was developed in the WACKER laboratories in Burghausen. And cyclodextrins from WACKER can do more than repel mosquitoes. They have many talents. The sugar molecules also trap foul-smelling sweat in sportswear. They can also conceal unpleasant taste, for example bitter substances in green tea, or offer a new vegetarian alternative to stabilize oil-in-water emulsions such as mayonnaise. At WACKER, new applications are always being researched. 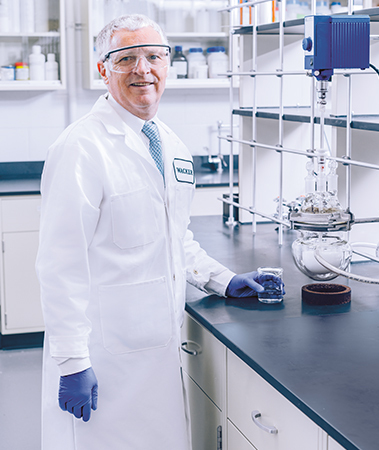 “In the world of cyclodextrins, many skills are hidden, some still unexplored,” says Mark Harrison, who is responsible for industrial applications of cyclodextrins at WACKER. He and his team are on the lookout for these hidden talents in the new WACKER laboratory in Adrian, USA. The laboratory is unique because it exclusively develops cyclodextrin products for industrial applications. For example, the WACKER team is working along with leading academic institutes to develop products for the automotive industry, such as self-repairing car paints. New polymers crosslinked with cyclodextrins help heal scratches in the paint in the future. “The aim is to ‘heal’ simple scrapes through heating so that no new paint is required,” explains Harrison. New solutions for water and wastewater management are also being researched in the WACKER laboratories. Cyclodextrins, for example, could be an alternative to conventional activated carbon to filter micropollutants including pesticides and pharmaceuticals out of the water. Sugar rings could also be a safer option in the future for gold extraction and gold recovery, where until now very toxic chemicals such as cyanides have been used. The cyclodextrins are able to extract the gold content from a cocktail of various precious-metal compounds. They also fish out the gold salts in gold-bearing electronic scrap. 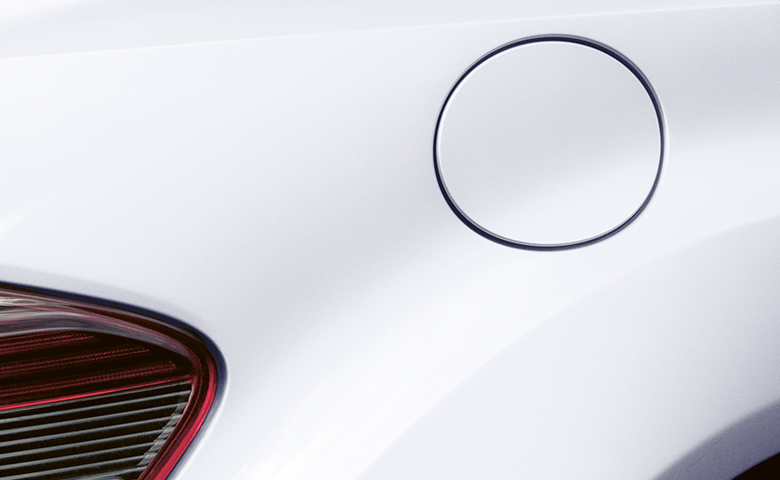 New polymers cured with cyclodextrins are intended to help repair scratches in the car paint. In his lab in Adrian, USA, Dr. Mark Harrison seeks out new industrial applications for cyclodextrins. Binding ingredients, releasing active ingredients and stabilizing sensitive substances, cyclodextrins have many talents.